Owner, Louis Johnson, developed The Pines of Lake Forest from the ground up. Today it is a very high end neighborhood starting in the mid 500,000’s. 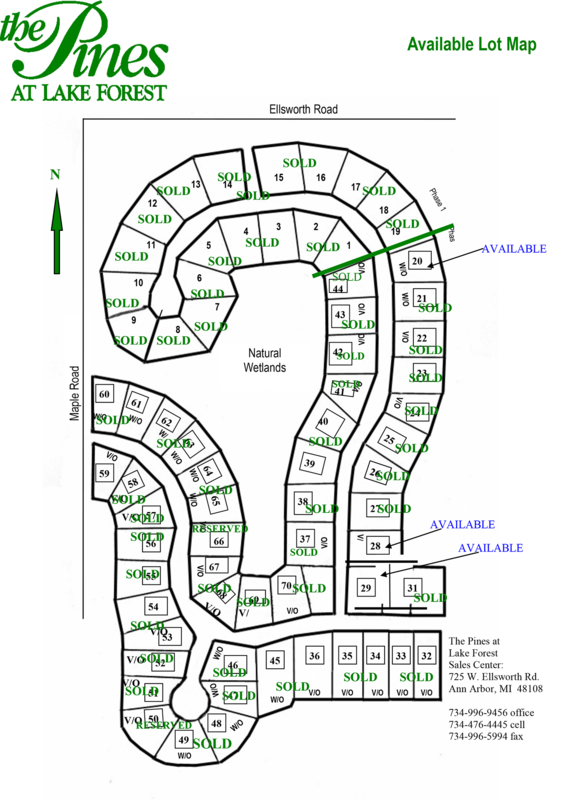 Only 2 lots left in this desirable neighborhood located in Pittsfield Township with Ann Arbor Schools. Children living in The Pines neighborhood attend Ann Arbor Public Schools, along with the neighboring Lake Forest subdivision , and The Highlands, and The Hills of Lake Forest, as well as the north side of Stonebridge. Children attend Bryant and Pattengill Elementary Schools, Tappan Middle School and Pioneer High School. In 2010, Pioneer High was named “One of America’s Best Highschools” by U.S. News and World Report. The Mission Statement for the Ann Arbor Intermediate Schools District states that “to ensure each student realizes his or her aspirations while advancing the common good through community dynamic distinguished by: personalized learning that is curiosity driven, student directed and teacher inspired, a challenging and provocative curriculum, individual and group creative expression, the nurturing of the human spirit, culturally congruent instruction and forging alliances with families and communities.